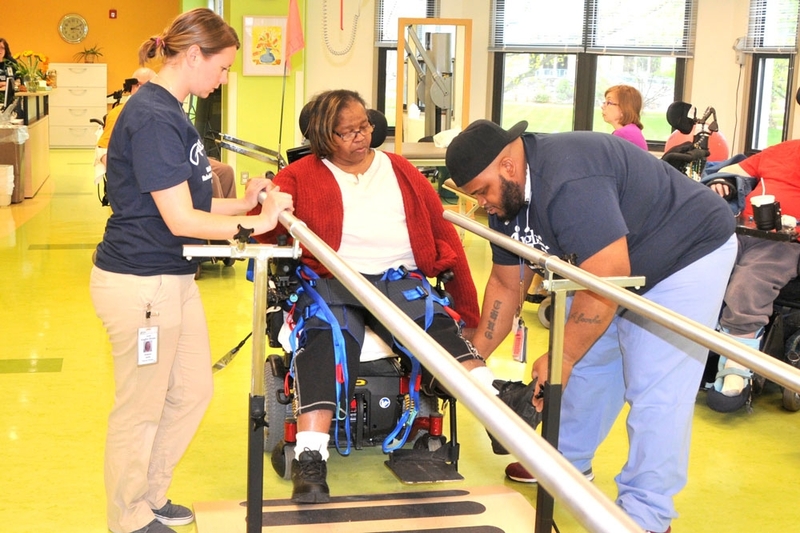 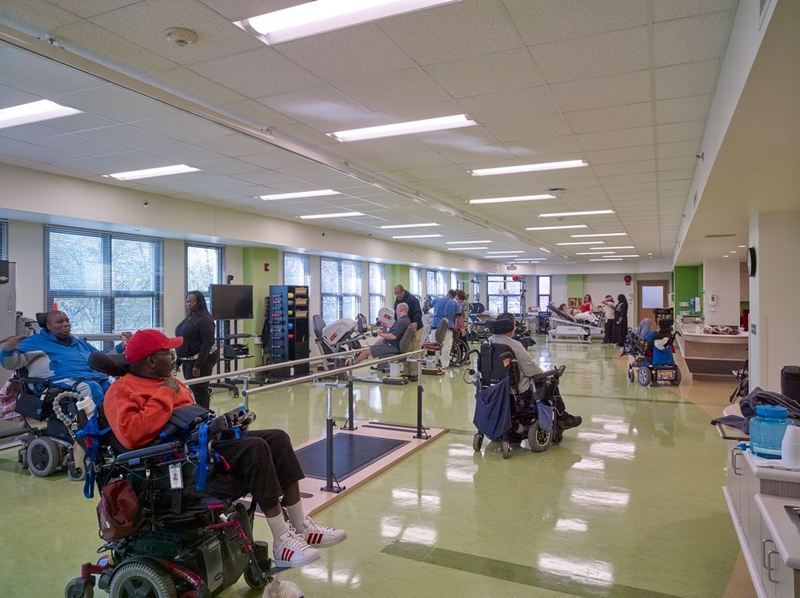 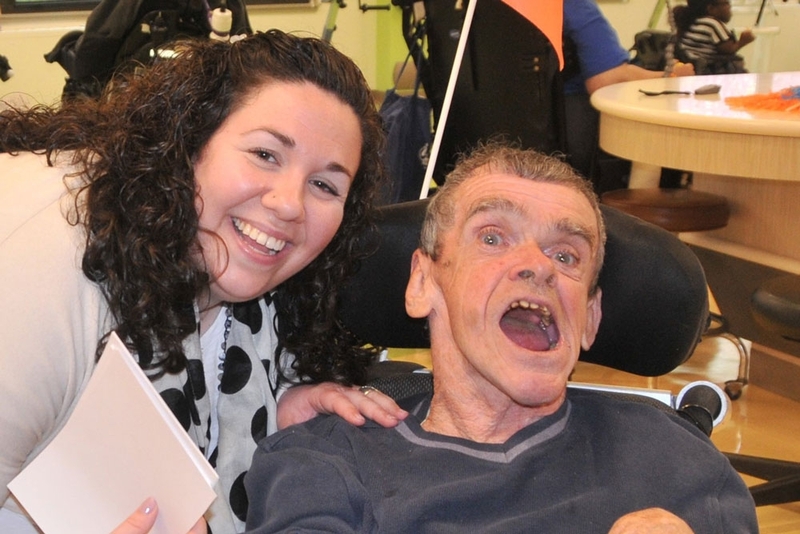 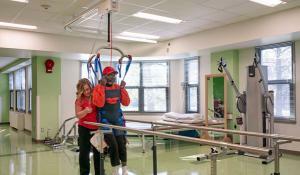 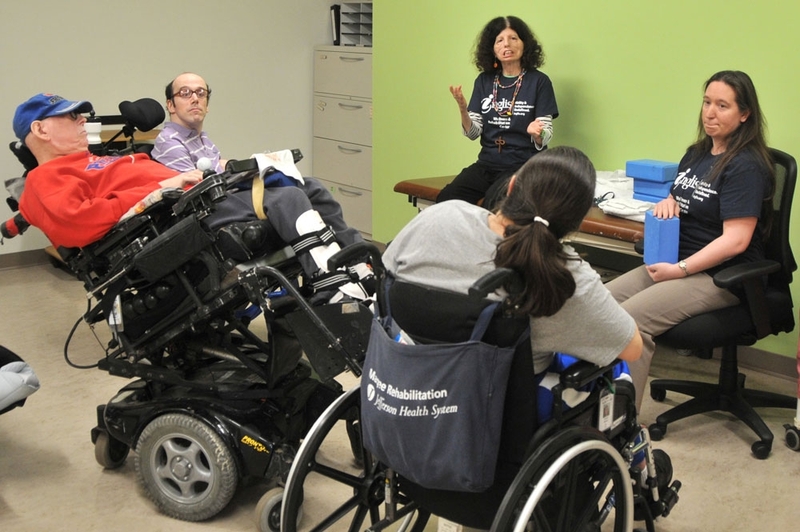 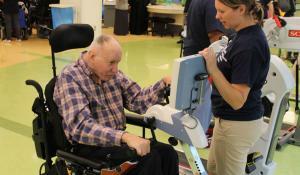 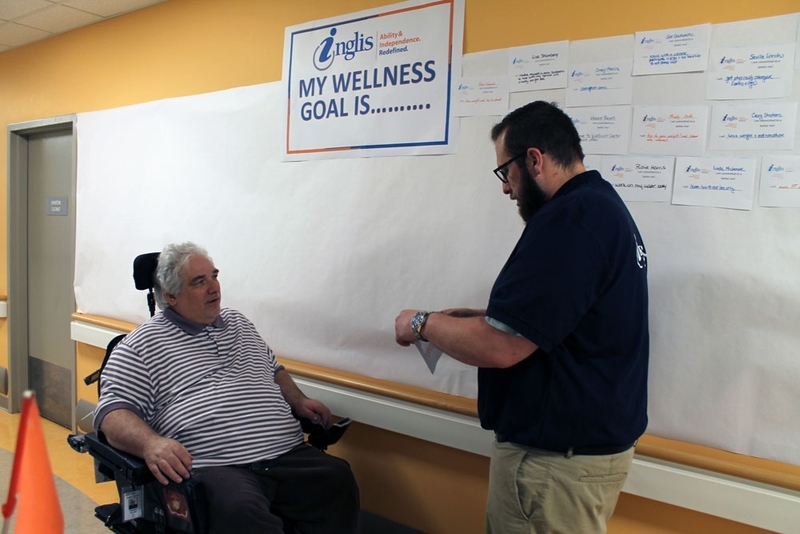 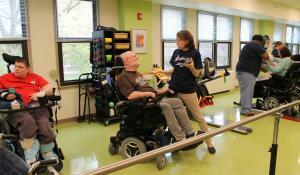 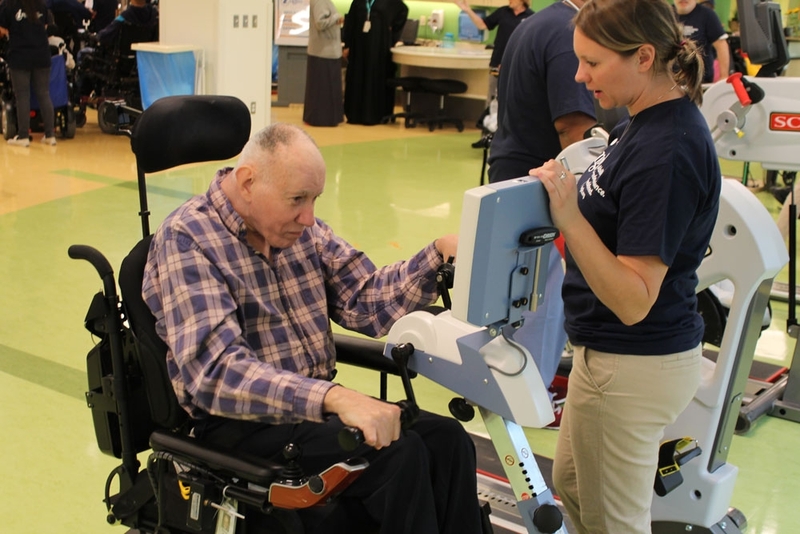 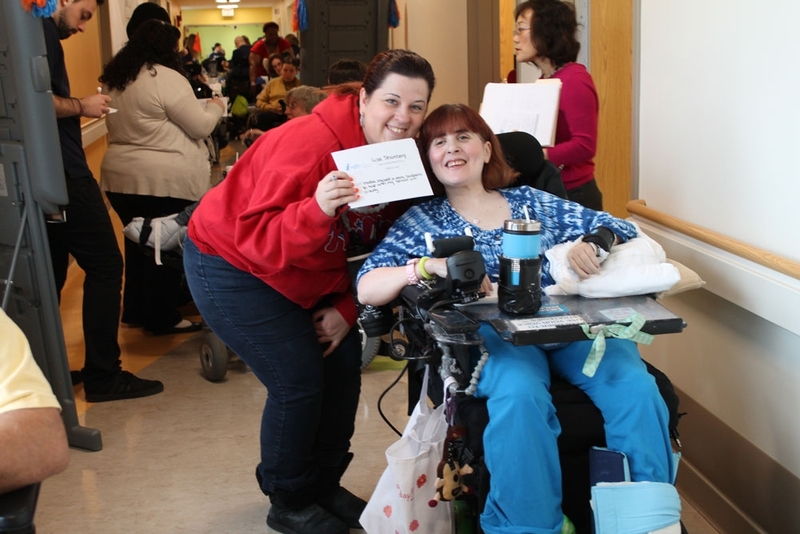 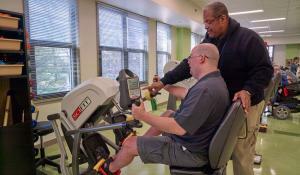 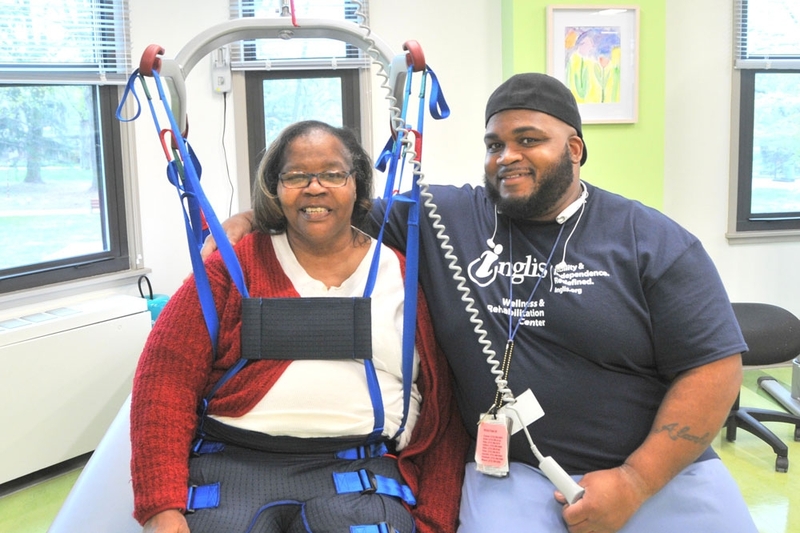 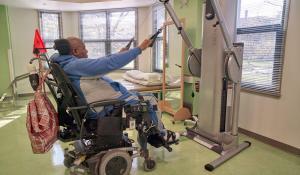 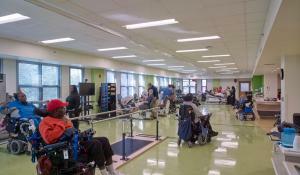 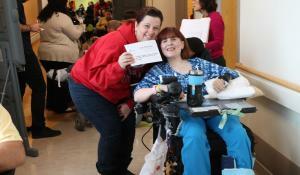 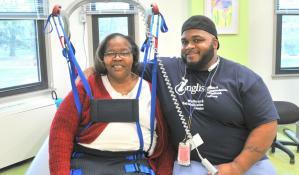 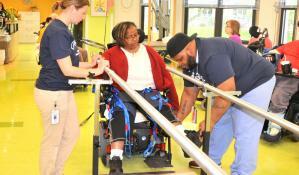 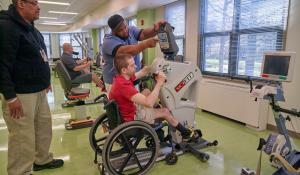 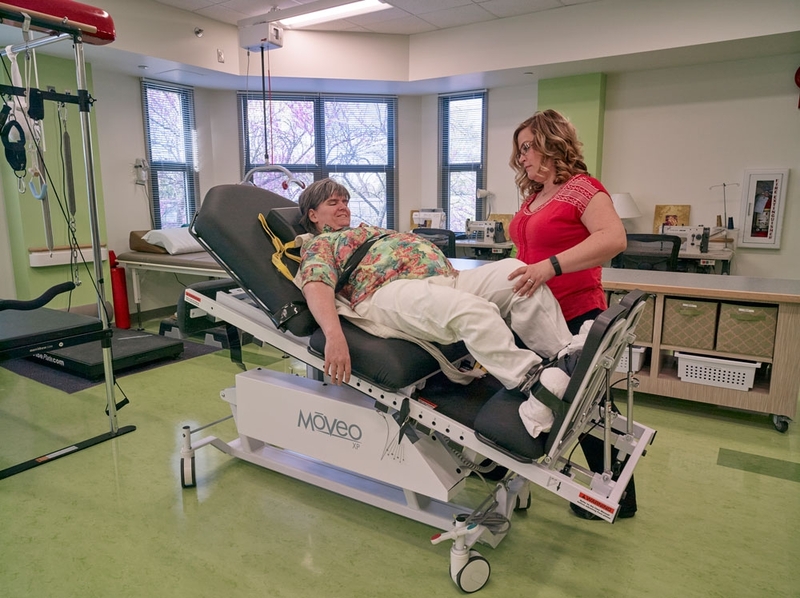 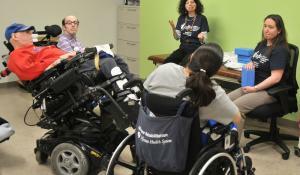 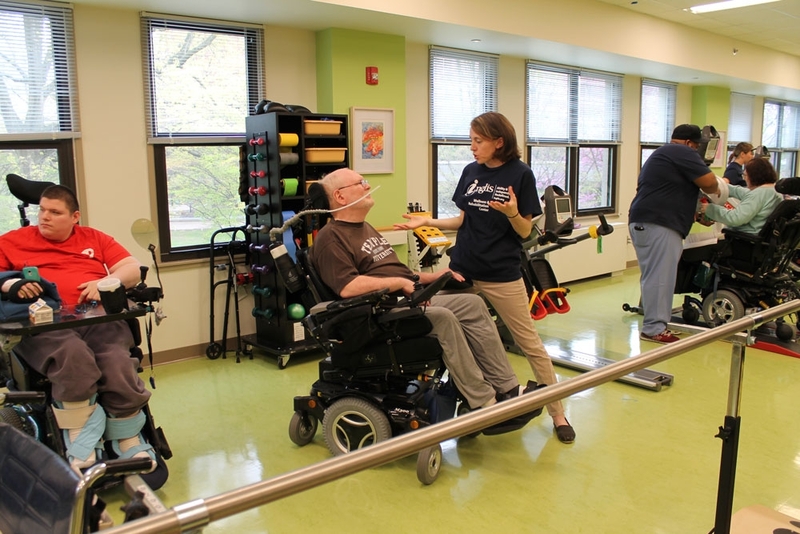 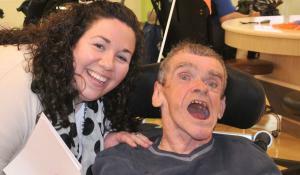 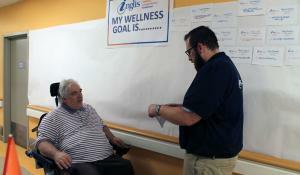 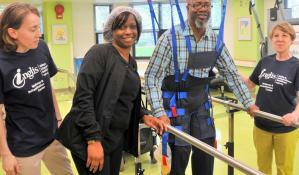 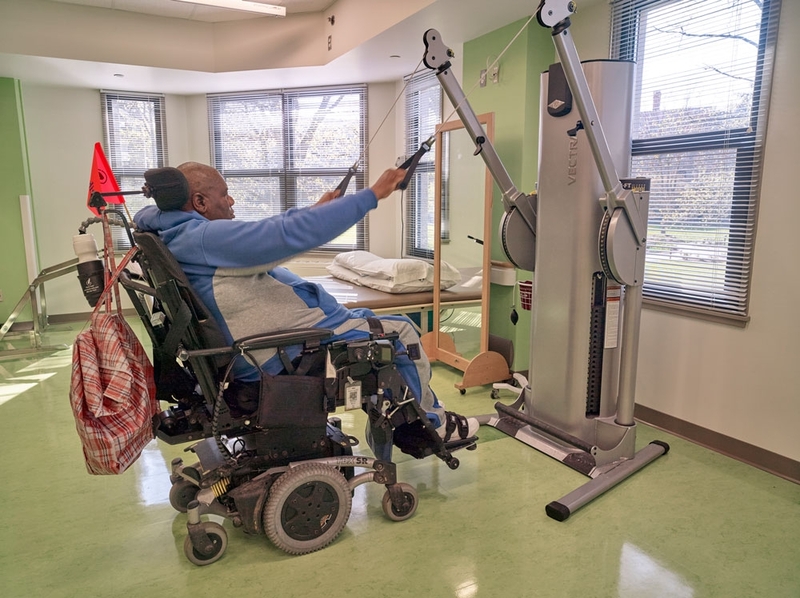 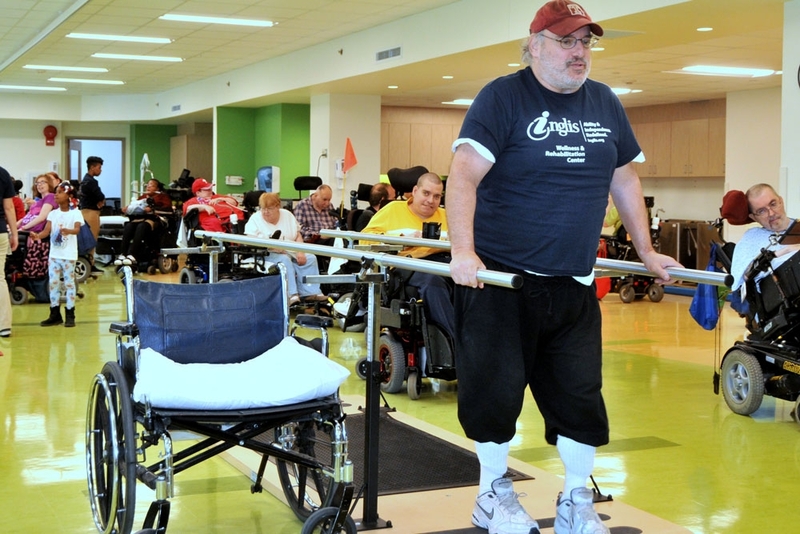 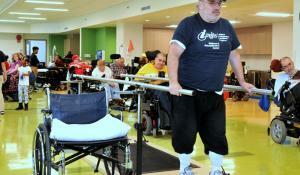 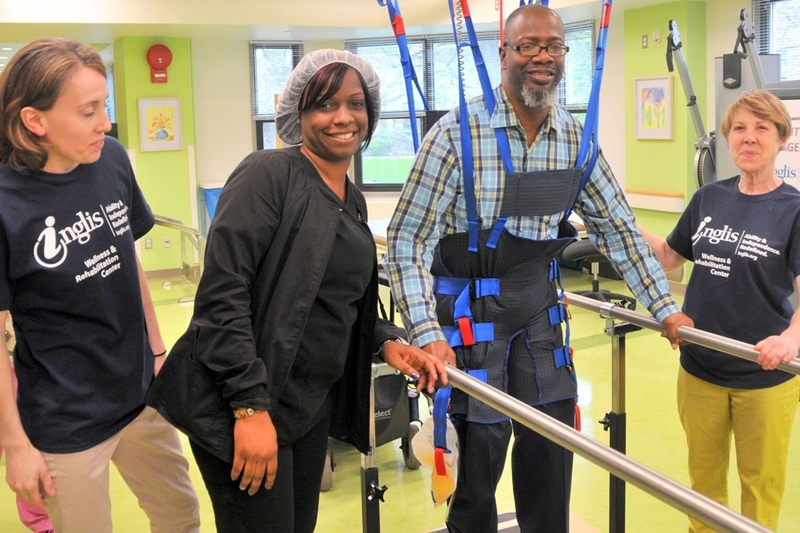 The new Wellness & Rehabilitation Center (WRC) opened to great fanfare for all Inglis House residents. 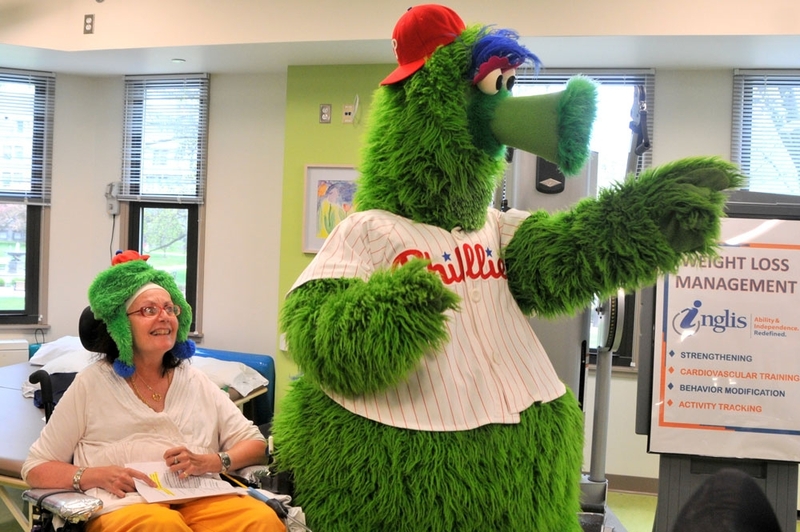 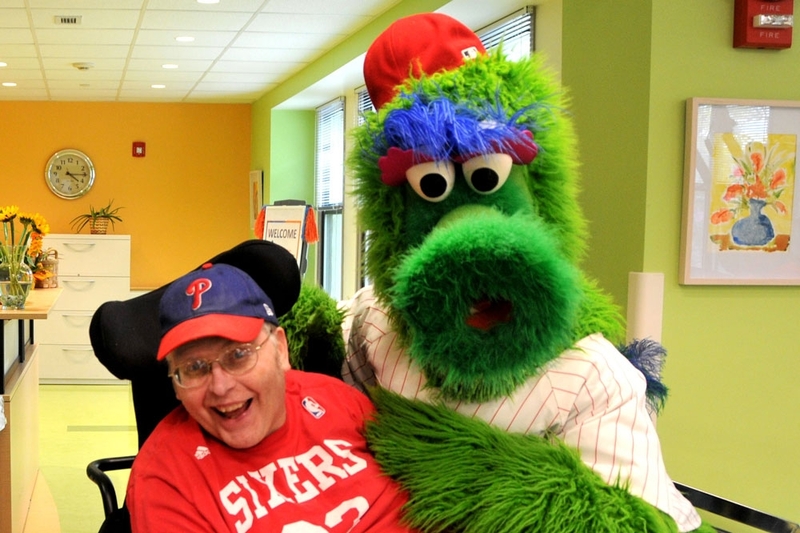 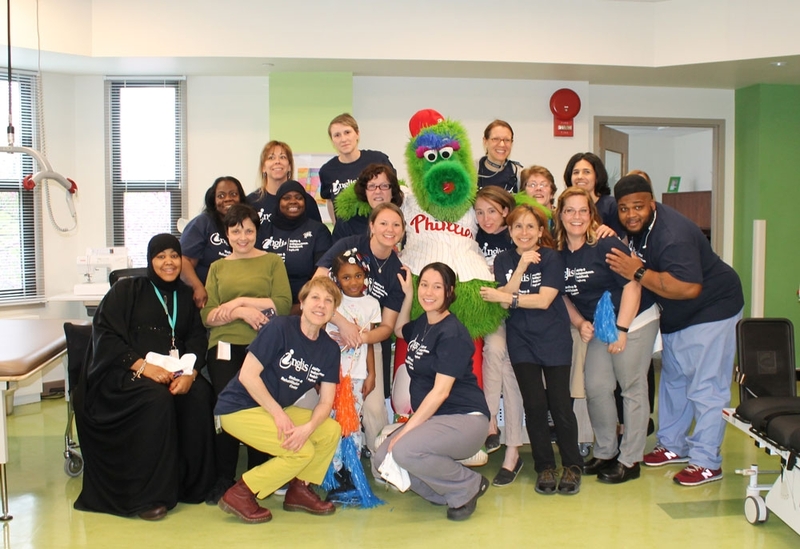 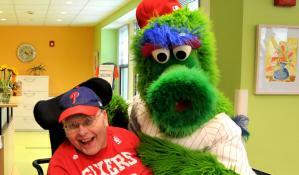 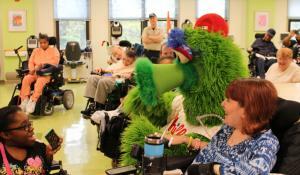 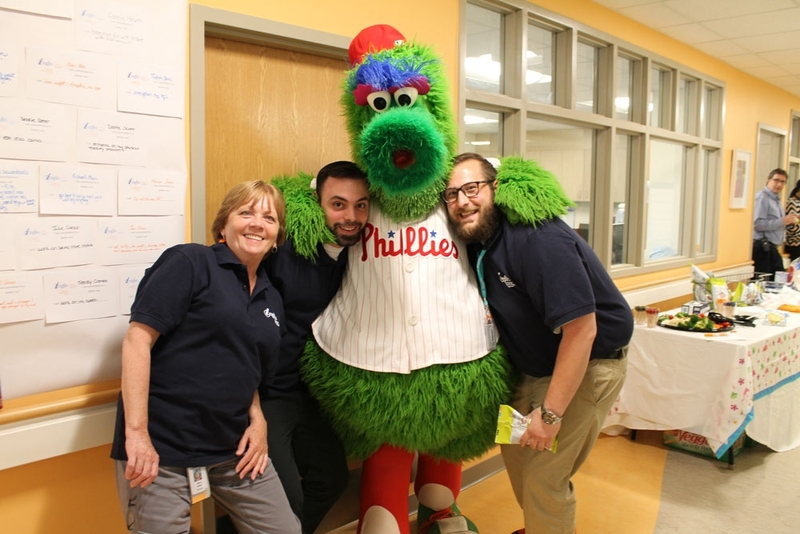 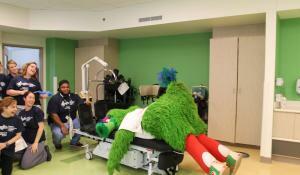 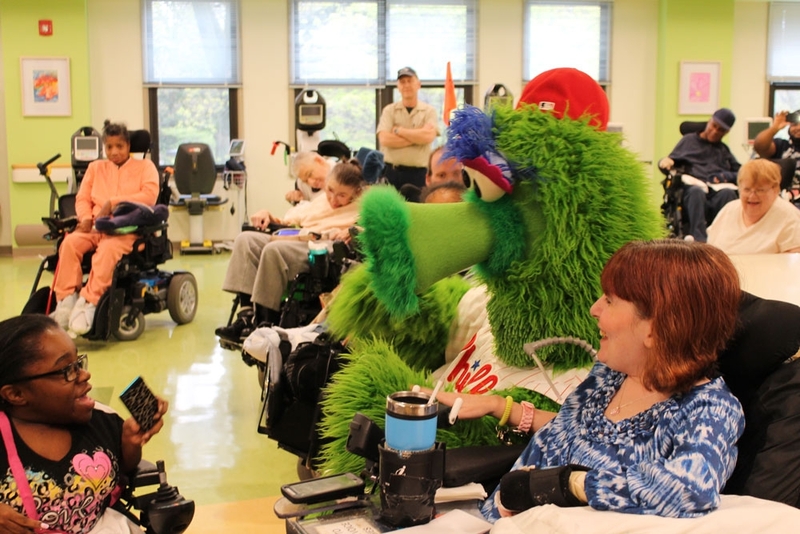 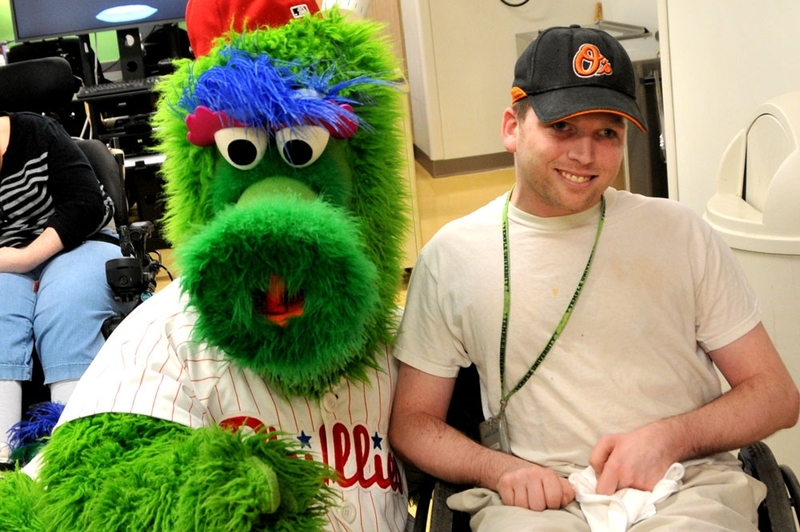 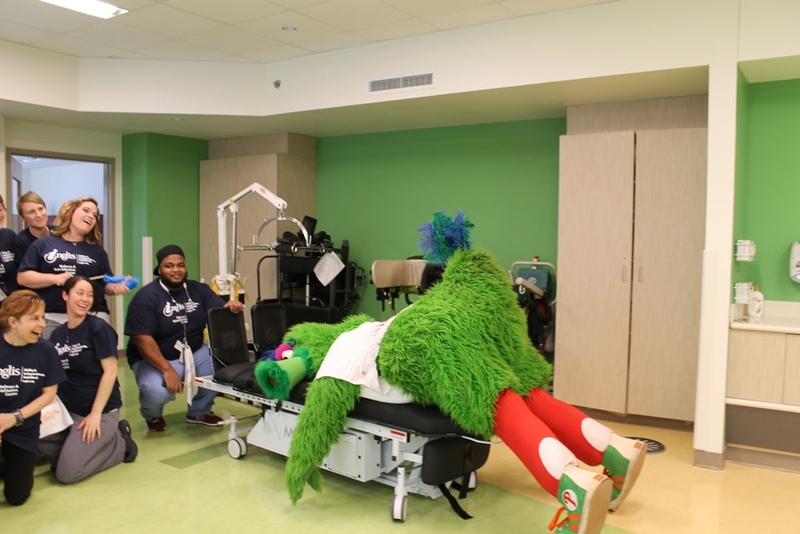 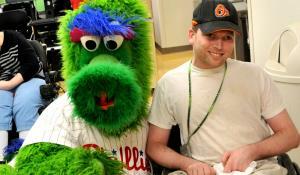 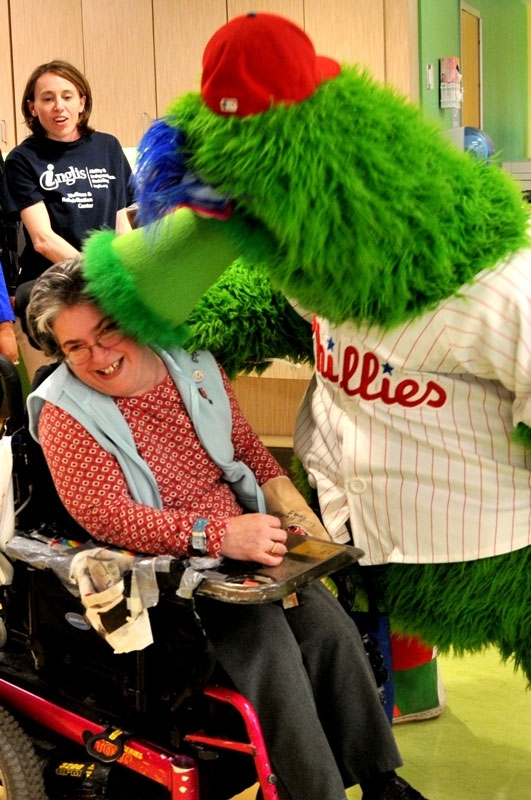 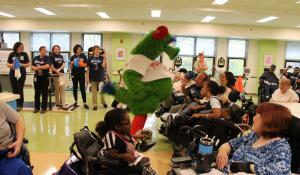 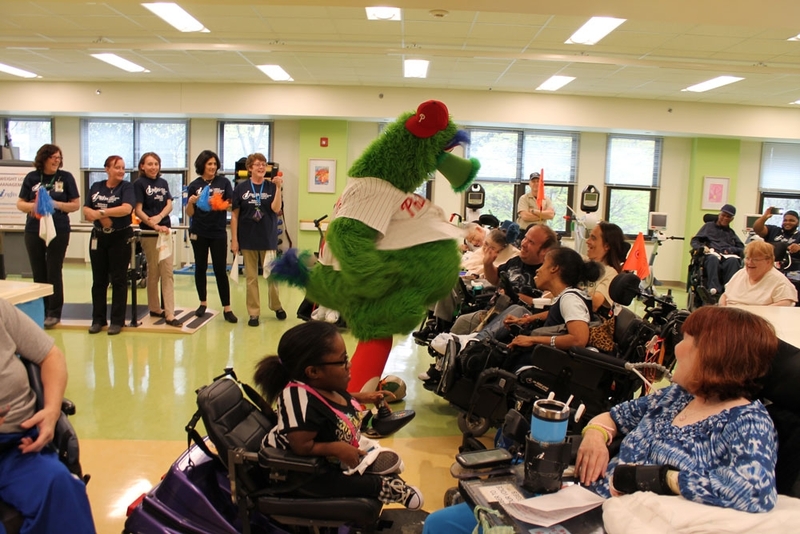 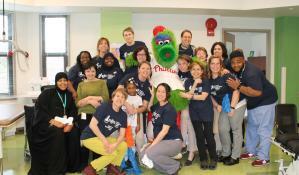 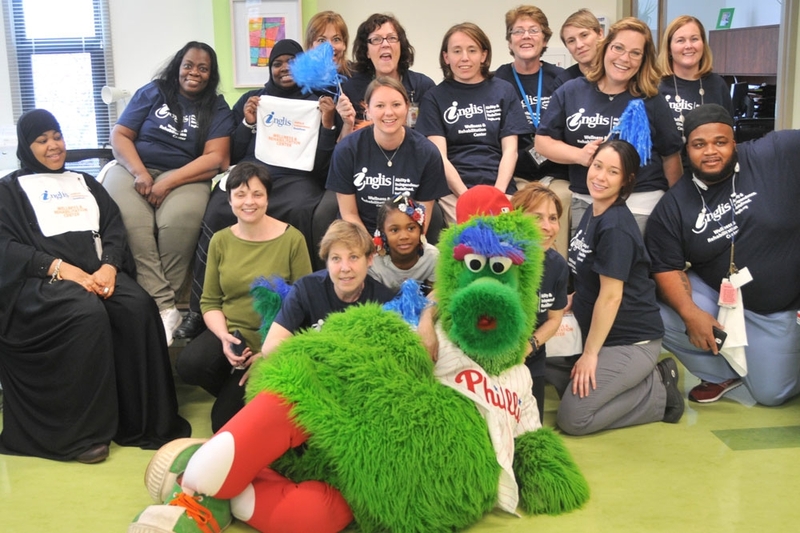 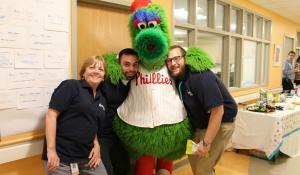 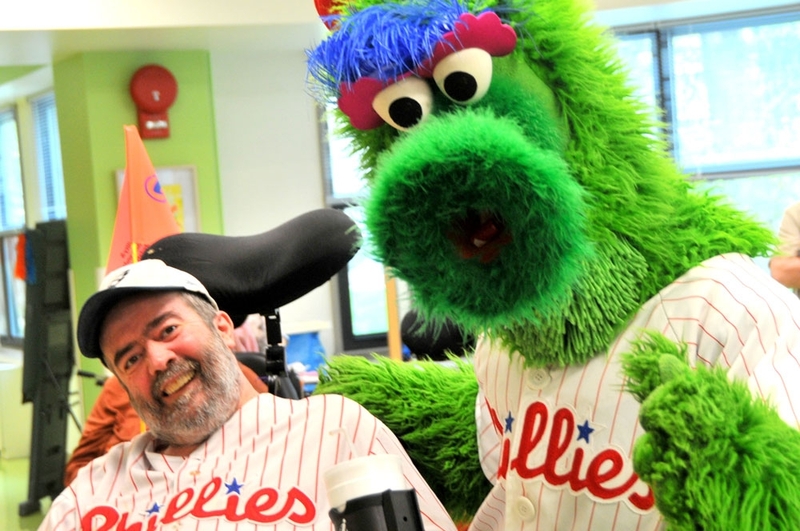 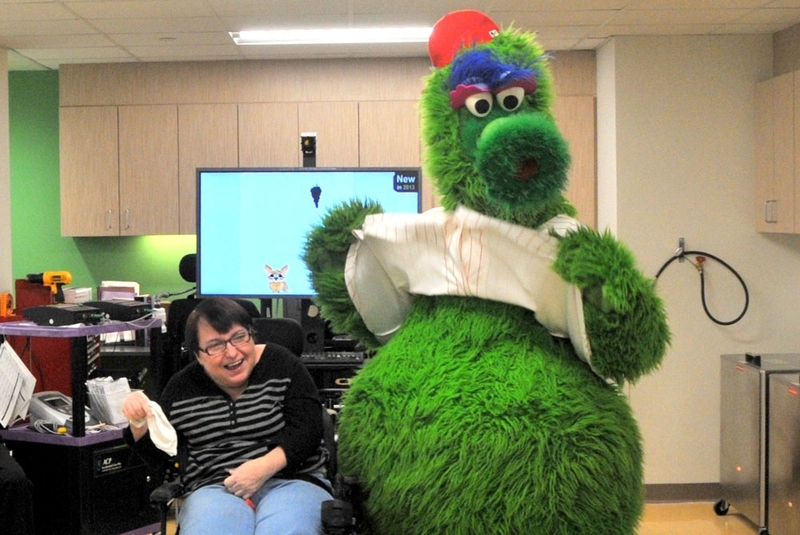 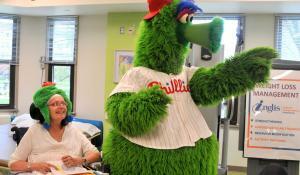 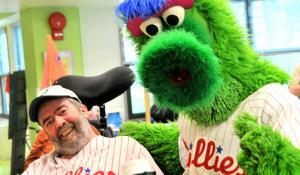 Special guest, the Phillie Phanatic showed up to meet, greet and add general pandemonium! 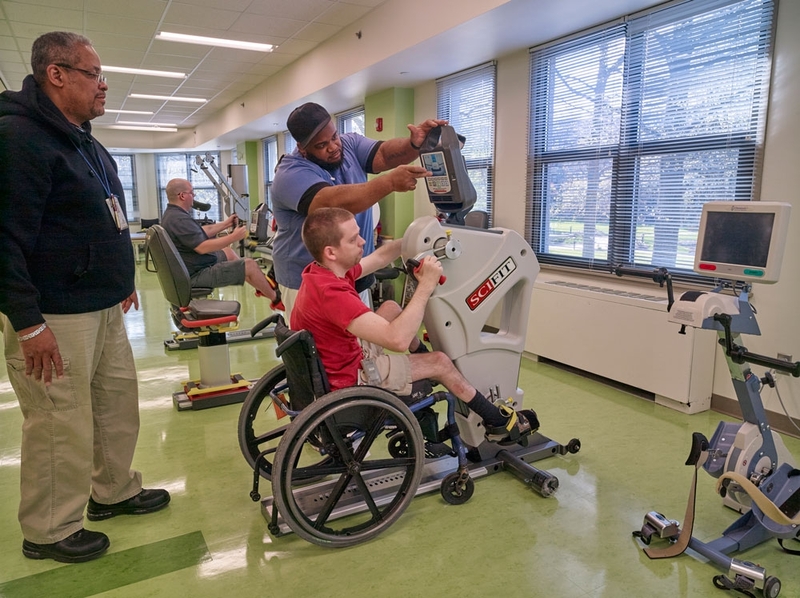 The staff of the WRC, along with the team from our Adapted Technology Program, were all on hand to show off the great equipment in the new gym, such as virtual reality monitors, wheelchair accessible bike machines, a room-length track for assistive walking, weight machines specifically designed for people with disabilities, and much more. 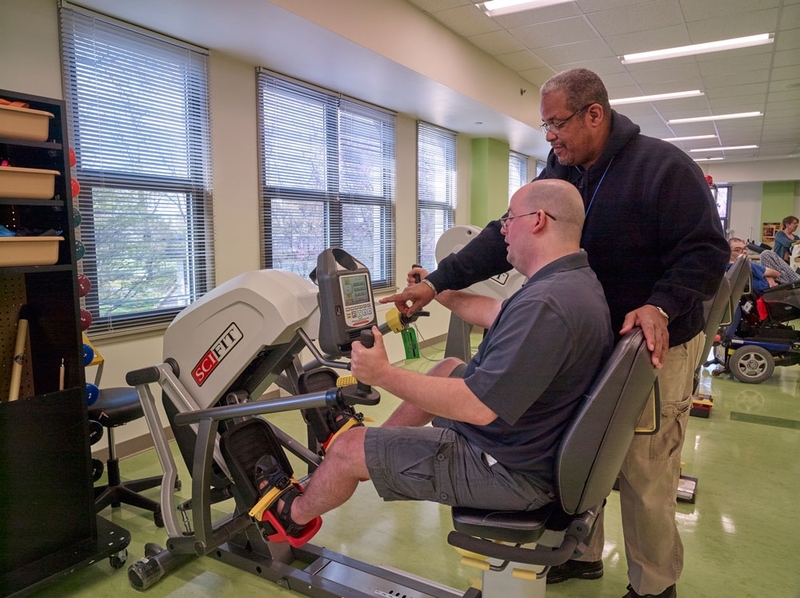 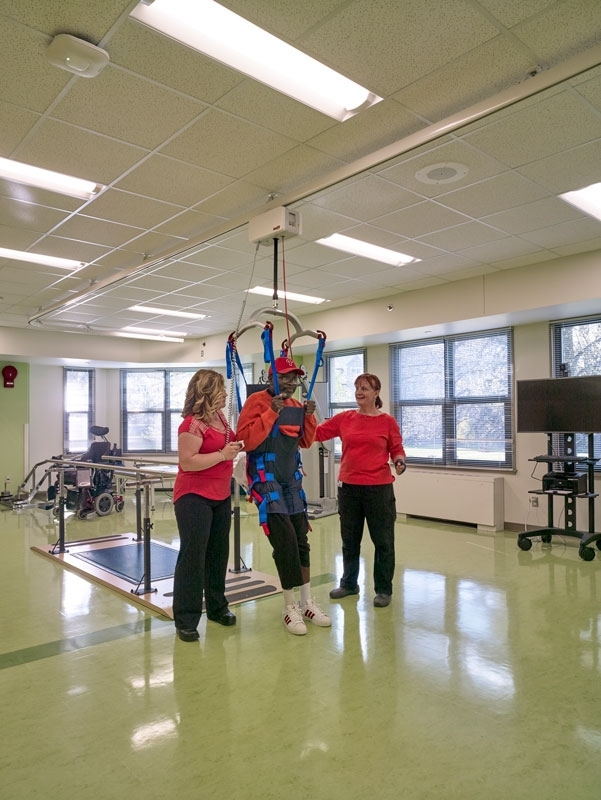 Now our physical, occupational, speech and restorative therapists share the same space, fostering even greater communication and collaboration among the disciplines. 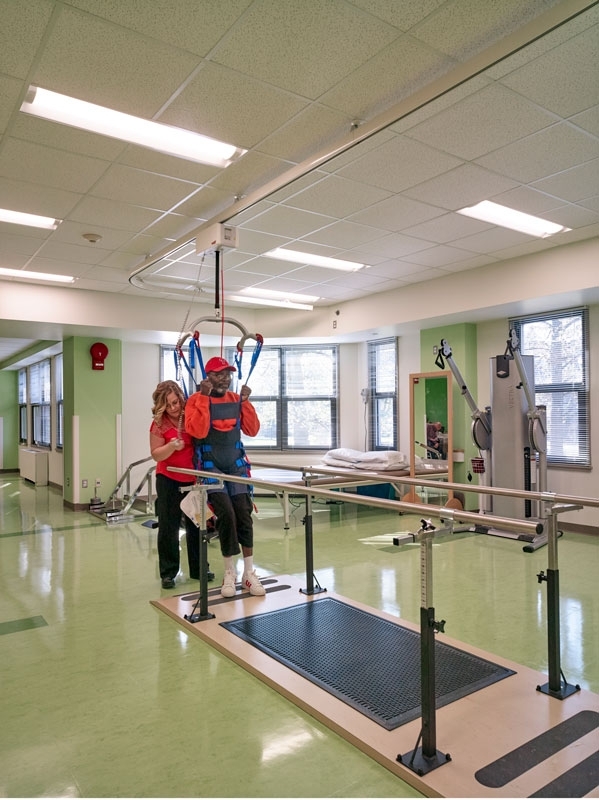 The new WRC features a spacious open concept gym area filled with natural light. 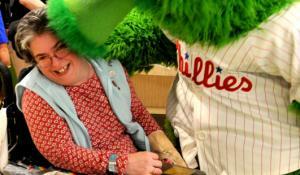 Check out the great photos!